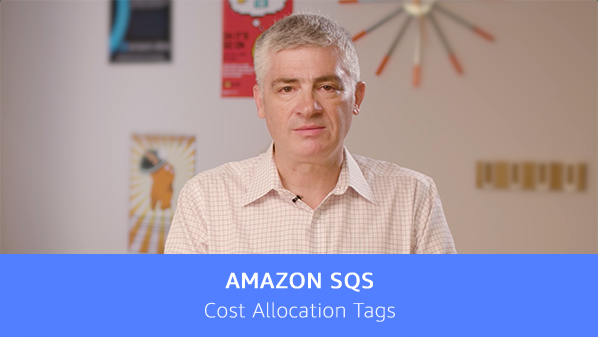 Starting today, you can use cost allocation tags to manage your costs in Amazon Simple Queue Service (SQS). You can now use tags to categorize your queues, so you can easily identify their purpose and track their costs. For example, you can use tags to identify all the Amazon SQS queues for a particular department, project, or application. Once you have tagged your queues, you can use the AWS Tag Editor console to filter and search for queues with specific tags. You can also sign up to include usage and cost details for particular tags in your AWS account bill. You can add or remove tags using the Amazon SQS management console, AWS Command Line Interface, or API. You can assign up to 50 tags, each consisting of a key and a value, per Amazon SQS queue. Tagging for Amazon SQS is now available in all AWS regions. To learn more about tagging in AWS, see Using Cost Allocation Tags. For more information on using tagging with Amazon SQS, visit Introducing Cost Allocation Tags for SQS and Tagging your Amazon SQS Queues.